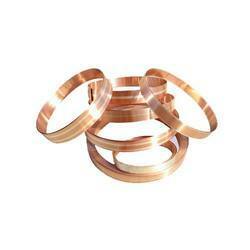 We are offering to our esteemed customers this exclusively processed range of fine quality Bimetal Strips. 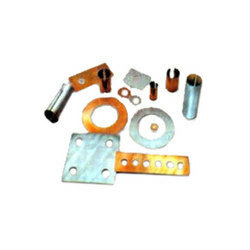 Basically this electrical component and part range has been made form best quality raw material and has been fabricated in full compliance to the industrial standards. We are able to provide our clients such competitive prices owing to the fact that our fabricators are experts in the making of these. Customers can avail these from us in the most comprehensive prices. Manufactured using the best available sources and metal, we have been exceptionally able to offer to our customers this range of Aluminum Copper Strips. Designed to reduce joint resistance, this range also ensures the durability of terminations. We have employed the best grade material in the manufacturing of this range. Customers are availed this range in the most comprehensive rates. We are widely appreciated by our various customers for providing them with an extensive range of quality Copper Aluminum BimetalStrips. These Bimetal Stripes are used to carry current to all voltages such as EHV, HV, LV. These are made of quality grade metal that prevents corrosion and offers complete protection and reliable performance. It ensure long life of terminations and is perfectly galvanized.